Home Skin Care How Long Does a Suntan Lotion Last? Are you wondering how much time it would take for you to get your desired tan? If your answer is yes then one thing that you have to remember is that all people have different skin types. With that in mind, each person also tends to tan at a different pace and rate. For instance, there are those who achieve their desired dark tan within just a few hours. Others, on the other hand, have a difficult time tanning and are only at risk of burning. So How Does Tanning Really Work for Different Skin Types? One thing to keep in mind when trying to understand how long it takes to tan in the sun is that melanin, which is a kind of pigment composing the color of your eye and hair, also has a major impact on the color of your skin. If you have less melanin, then it is greatly possible that you also have fair skin, which burns faster. This skin type might also have a difficult time tanning. The fact that they have less melanin might also cause them to take several days to tan successfully. There are even those who were unable to get the tan they want at all. Those who have more melanin, on the other hand, can attain a desirable dark tan within just several hours. Also, take note that the length of time that you have to spend under the sun to tan is dependent not only on your skin tone and type but also other psychological factors, degree and intensity of sun exposure, and use of skin lotions and sunblock. In most cases, you can’t expect a tan to appear when you are outdoors or at the beach under the sun. Based on the level or amount of sun exposure, it would take at least one course of action to get the results that you want from the tanning process. In case you have just enough sun for tanning without burning your skin then you can expect a bit of change while you are in the sun. Your skin will become slightly red but it should not be itchy nor hot. Later, this color will turn into a tan once your body starts adding melanin to your skin as a response to being exposed to the sun. Getting sunburned is also a risk when tanning so you should avoid overexposing yourself to it. One practical way to differentiate redness and sunburn is to get yourself into a hot shower once you come indoors. Do this within two hours. Some people can catch a tan within just two hours of being under the sun. Others get tanned once they wake up the next morning. If you get sunburned, though, your recovery may take several hours. There are also those who recover overnight. Some have a recovery period of 3 days. Use a base lotion – Alternatively, you can also use an oil that has a low SPF. This is helpful in tanning quickly. You only need to apply either of the two to enjoy a quick tan. However, ensure that you protect yourself from the powerful rays of the sun first. Your choices, in this case, are aerosol sprays, oil mists and rubs, and rub-on lotions. Make sure that what you pick contains SPF. The perfect SPF is around 4 to 15, depending on your base tan’s strength. In case you’re already slightly tanned then choosing a lower SPF might do you a lot of good. In case you expose yourself for the first time during the summer then pick a product with SPF 15 to minimize your risk of getting sunburned. Put on some natural oil on your skin – Together with a high-quality and safe base tan, it is also advisable to put on some natural oil on your skin. You can actually take advantage of natural oils in attracting the sun, giving you your desired olive glow in just a short amount of time.Among the natural tan enhancers that you can apply prior to exposing yourself to the sun are olive, hazelnut, coconut, wheat germ, sesame, sunflower, and avocado oils. Do not forget to rinse them off with water and soap after tanning. Turn over your body often – This is necessary to achieve a quick and even tan. Begin on the back then your left side, stomach, and the right side. Your leg and arm positions should also be changed often to lessen the risk of acquiring awkward and unwanted tan lines. Soak yourself under direct sunlight – Your goal should be to move or to position in a spot where there is direct sunlight. If you are not fond of lying around the entire day then do an activity outdoors. Ensure that you only wear a little clothing so you can soak your skin under direct sunlight. Expose yourself to the sun at around 10 in the morning and 4 in the afternoon – Some dermatologists actually recommend staying away from sunlight during its peak hours. However, if your goal is to have a quick tan then it would be best to soak yourself under the sun when it is at its peak or strongest. Put on some oil or lotion every two hours or so – It is also necessary to reapply it each time you come in contact with water. The goal here is to cover yourself with a low SPF lotion or oil all the time. You even need to reapply those products that are water-resistant to get quick tanning results. You may also want to consider using tanning products that do not require you to expose yourself under the sun. It is actually possible to access sunless self-tanning products that are in oil, spray, foam, gel, cream, and lotion forms. These tend to work fast and do not require you to be in the sun to work. Another question that you might have regarding tanning, especially if you are still a beginner, is how long does a suntan last. Some of those who use a tan may lose it in just one week. Others, on the other hand, tend to retain it for two weeks. For a lucky few, they can keep their tanned skin for a longer period. The length of time it takes to lose the tan is dependent on the time it takes for your upper skin cells to shed during the natural process of renewing your skin. Keep in mind that the human skin tends to undergo a complete renewal cycle every 28 days. During this renewal cycle, some epidermis (outer skin layer) cells tend to slough off for around once weekly. This happens once the cells begin to move from the epidermis’ bottom part to the topmost part. Once this cycle is completed, young new cells will be produced. This might cause the cells that carry pigment to diminish, which will also slowly lose your tan. If you want to maintain your tan then exposing your skin repeatedly to UV light is the ideal solution. How to Keep Tan Longer? Hydrate your skin – Ensure that your skin is fully hydrated before soaking under the sun. What you should do is to have a cool shower prior to tanning. 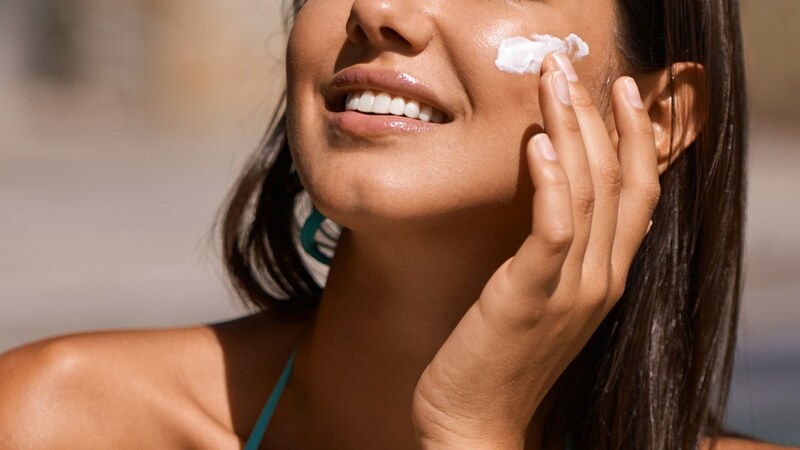 Aside from helping you attain a long-lasting tan, hydrating your skin can also prevent sunburn to tan or any other damaging effects of the sun’s rays. Apart from getting a shower, drinking a minimum of two glasses of water each time you get exposed to the sun can help. Having a cool bath each time you’re done soaking under the sun is also advisable. This will cool down your skin right away, thereby lowering your risk of experiencing redness, stinginess, and spotting. It can also prevent your skin from getting overcooked. Exfoliate – You also need to exfoliate so all your dead skin cells will be removed to achieve a long-lasting tan. Do the skin exfoliation three to five days before tanning. Skin exfoliation can also improve skin health. It also removes dead skin cells, renewing and rejuvenating them. You need this for your skin to have that healthy glow before tanning, thereby preventing the risk of damage. Optimize the tanning results – You can actually find several lotions, oils, and tablets in the market today that can help in accelerating the tanning process and maintaining its results. These are often designed in a way that they can stimulate the production of melanin in an artificial manner. These can, therefore, optimize the tanning results.You can also further optimize tanning by choosing to use a pre-holiday primer, which can support your natural tanning ability by improving your normal cell function. Among the things that can help are biotin, fern extract, and Omega 3 – all of which can help make the tanned color stick for quite a long time. Moisturize – Moisturizing your skin is also helpful in making the tanned color stick for quite a long time. After tanning, make it a point to moisturize your skin every day no matter how long or short you are planning to expose yourself outdoors. This can also prevent skin dryness and sensitivity that might happen because of overexposure to the sun. If you wish to have a golden tan by soaking yourself under the sun, the use of sunscreen is a must. Note that you need a high-quality sunscreen for tanning in order to protect your skin from the sun. It provides such protection by absorbing UV rays. This product is designed in such a way that it can filter UV rays. It can also prevent sunburns. It will not prevent melanin production, though, thereby ensuring that you can still achieve your desired golden tan. What is the Best Sunscreen for Tanning? Australian Gold Sunscreen Lotion with SPF 15 is probably your best ally if you want to enjoy the sun and get a really good tan. With this sunscreen, which is also suitable for tanning, you get the chance to bask under the sun confidently. It nourishes your skin and moisturizes it, too. This sunscreen is easy to apply on the skin, making the process of applying it 15 minutes prior to exposing yourself to the sun and reapplying it every two hours hassle-free. Furthermore, it has UVA and UVB protection, so rest assured that you can get your preferred golden tan without running the risk of burning your skin. Another advantage is that it is water-resistant for up to eighty minutes. 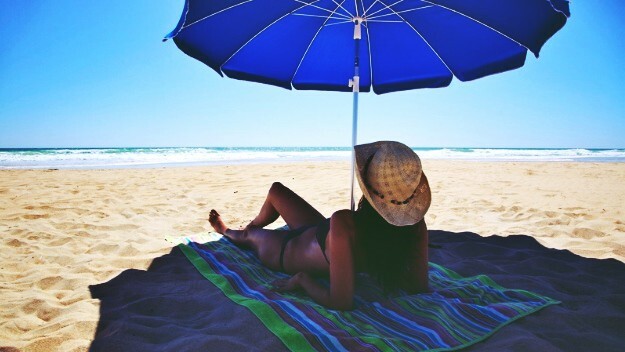 If what you are searching for is the best SPF for tanning with zero risk of burning then you might want to check out the Australian Gold Spray Gel with SPF 30. It has a high sun protection factor (SPF), giving you peace of mind while you are soaking under the sun because you know that it will not trigger sunburns. What is good about this product is that it features a natural caramel bronzer. It is, therefore, capable of enriching your skin by giving it a nice, bronzed glow instantly. The result is a glowing and radiant tan like no other. It also contains exotic oils that add softness and moisture to your skin – the key to making the tanned color even more beautiful. The fact that it contains Aloe Vera is also a good thing as it conditions and soothes your skin naturally. One more thing, it is a fragrant gel, which is one reason why using it can give you a more satisfying experience. For those who have fair skin, a safe outdoor product in the form of the Ed Hardy Coconut Kisses Golden Tanning Lotion is perfect for them. If you have fair skin, then you will also fall in love with how amazing this outdoor tanning lotion is. Among the things that this tanning lotion takes pride in are its tanning intensifiers that produce a dark-golden tanned skin without requiring you to use any bronzing agent. It also tends to stimulate the production of melanin, thereby accelerating the entire tanning procedure. It is because of its MelanoBronze and Quad Tyrosine blend combination. It produces darker results that can last long with the help of its melanin synthesizer. In addition, this tanning lotion from Ed Hardy makes cellulite less visible by making your skin firmer. Achieving a long-lasting golden tan at a much faster rate and pace compared to the others is actually possible with proper knowledge about the whole tanning process. Make sure to apply some of the tips indicated in this article to get the most favorable results from tanning. The use of the right products is also crucial in attaining the golden tan everyone is hoping for. Next articleHow Often Should You Use A Tanning Bed?